The other night Elisabeth & I had some fun together. We went to a new store that opened up nearby, it is kinda of like a very mini Wal-mart. They have clothes and shoes for the whole family, kitchen and bathroom supplies and other little knick knacky things. And the stuff there was actually decently priced for this area, Moscow is really expensive pretty much everywhere, so it was fun to find this store. It may not be the best of quality, but it works, for a while at least. 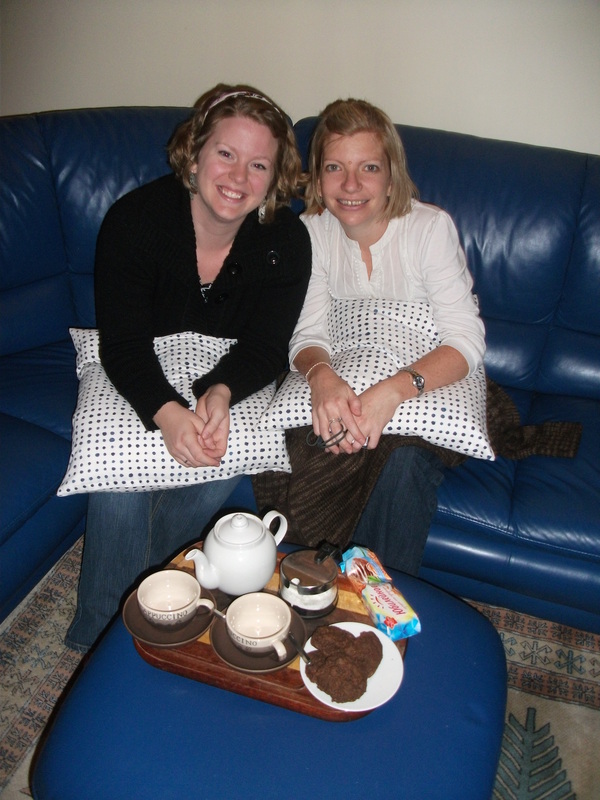 Since we were close to our apartment, she came over and we had some tea and cookies, watched a chick flick, and chatted for a bit. It was a fun night! Elisabeth is a sweet friend and I’m glad she is here with us.